Hollywood Nights-(Roger Duncan-2001)-Tall Bearded Iris-32 Inches Tall-Medium Bloom Season-Ruffled, intense purple black with velvety sheen on falls. Small white spray pattern at blue violet beards. 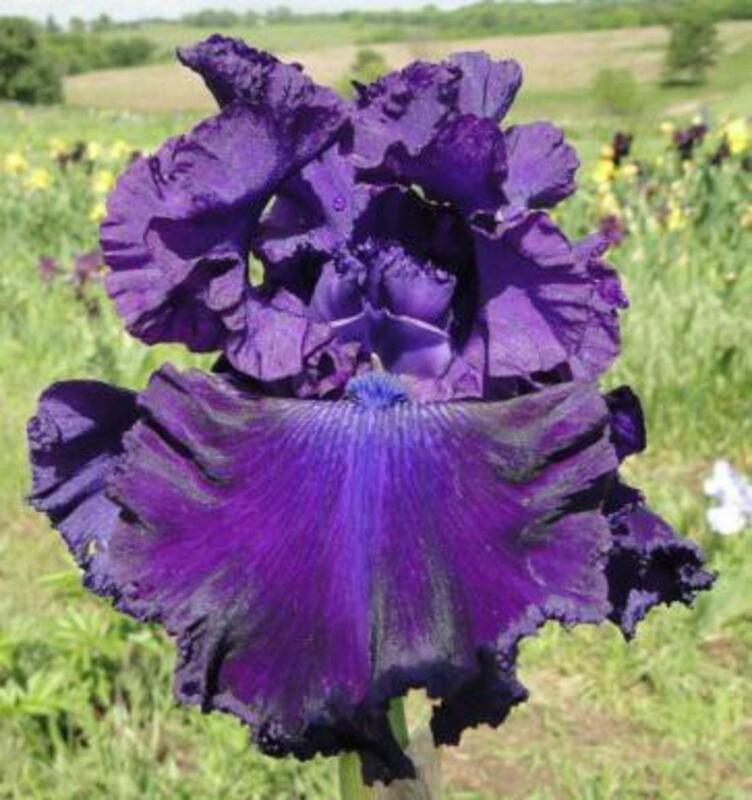 Award winning iris. HM AM WM.